The Engine Control Unit (ECU) is a small computer which runs the engine, controlling ignition timing, air/fuel mixture and imposes limits on speed and revs. These variables are displayed as a 'map' and can usually be modified via On Board Diagnostics (OBD) programming without needing to remove the ECU from a vehicle. This process is referred to as remapping and can provide either increased power or fuel efficiency to a vehicle- in some cases both. It’s important to understand that when we remap a car, the only adjustments made are made to the car’s software, not its hardware. 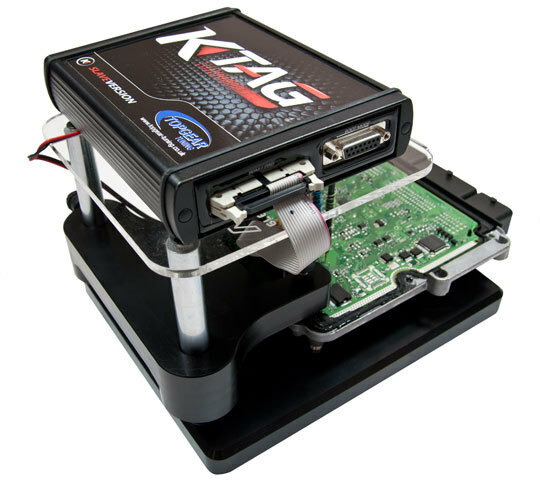 We simply modify the ECU’s software or ‘map’. These days optimising the Engine Control Unit is a fairly straightforward process, and for most cars the ‘map’ stored on the car’s ECU processor can be found via the car’s on-board diagnostics port (OBD). This is usually located under the car’s dashboard, and is usually easily accessible, although in some cases it will require us to remove the ECU from the dashboard and its casing in order to read it. To begin with, a reading of the car’s current map settings is taken. This allows us to see the settings that were programmed in by the manufacturer and to work out where adjustments can be made. 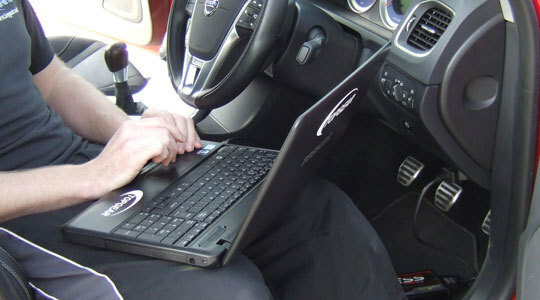 The map’s reading is then given to the specialist re-mapping team who will adjust the software settings to improve the car’s performance or fuel economy, depending on your requirements. If at any time you decide that you want to revert the process, we can simply remap the ECU back to the original settings the manufacturer had programmed for the car. Almost all modern cars and vehicles have a built in ECU (Engine Control Unit), which is a small computer system that controls how aspects of the engine work. The ECU can be thought of as the car’s ‘brain’, as it gives instructions to the other parts within the vehicle. A remap (sometimes referred to as chipping) is where we make adjustments to the car’s ECU software in order to improve either the performance or economy of your car, or a combination of both. ECU re-mapping is essentially re-mapping the car for your needs, and for the conditions of the region that you drive the car in. When a car manufacturer develops a car, the car’s ECU is generically programmed to suit the region that it is being sold in, and in this case the region can be fairly vast. To create settings that suit all of the potential buyers in that region, the car manufacturer will look at the different driving conditions and extremes in altitude and temperature across the whole region, as well as the variations in fuel quality, differing emission laws, and laws regarding how often the car should be serviced. In order to provide a car that meets the needs of all drivers in that region, the ECU is programmed with settings that are an average of all the different extremes. Because car sales regions are so vast, and can encompass such varying extremes (such as highs and lows in temperature and altitude) that you might never encounter, your car’s ECU is unlikely to be optimised as best as it could be. An ECU remap adjusts those settings based on the much smaller region that you normally drive in, and can also be adjusted to incorporate improvements to either the performance or economy of the car. Topgear, Powerflow Exhausts' parent company, is one of the UK’s leading ECU remapping specialists with outlets located in more than 70 locations across the UK. Unlike many other remapping companies, Topgear don’t just provide a generic remap of your car’s ECU, we provide a full assessment and bespoke remapping based on your requirements. Over the past few years Topgear has invested in the latest ECU re-mapping equipment and in ensuring that their staff are fully-trained and up-to-date on the ECU remapping capabilities for all cars and vehicles. Visit any of their outlets across the UK, and they will be able to provide you with technical support and ECU remapping advice that’s custom to your needs and vehicle.